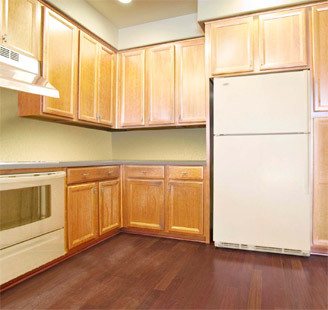 Tired of a bland and uninspiring kitchen? Nervous about breaking the bank on a full kitchen remodel? 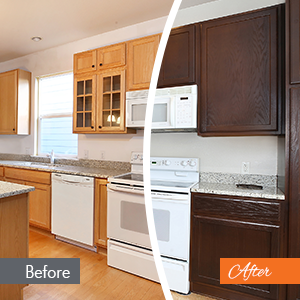 An N-Hance® cabinet color change could be the perfect fit! Instead of refacing or replacing your cabinets, a cabinet color change involves restaining and refinishing your cabinets in a new tint, tone, or shade. 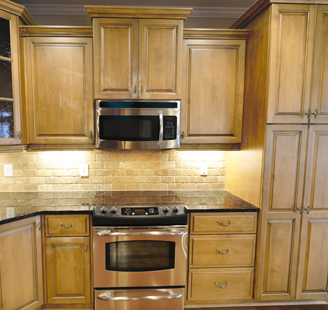 Your cabinets will enjoy a completely new look for a fraction of what it costs to reface or replace them. Our cabinet color change services are the perfect way to beautify older cabinets and breathe new life into your kitchen. 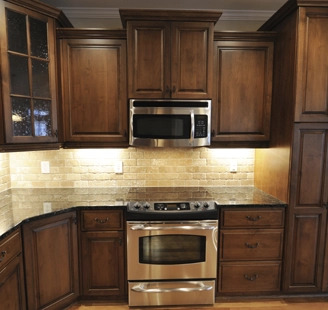 Even better, our cabinet color change process takes only a few days to complete. 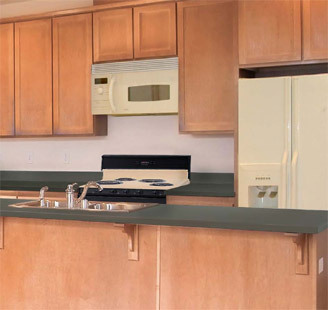 With N-Hance, you can easily transform the look of your cabinets for less money, in less time, and with less hassle compared to traditional restaining. Why N-Hance Cabinet Color Change Services? A cabinet color change is the perfect way to update your cabinets and the palette of your kitchen, without burning a hole in your wallet. While your current cabinets might appear drab and outdated, a simple color change can give them — and your kitchen — a stunning new look. 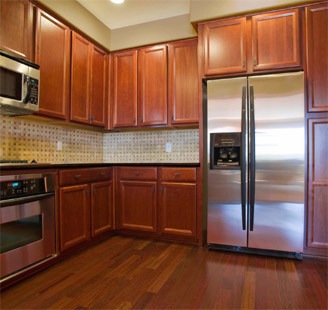 A color change typically involves a shift to a deeper or richer wood stain. This is an ideal choice for cabinets with a golden oak or whitewash finish, which can be shifted to a cherry, walnut, or espresso tone. 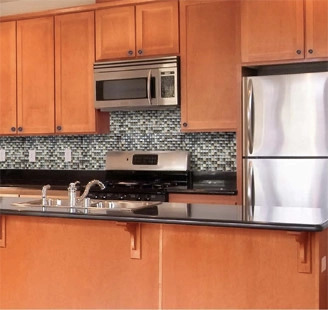 Even a slight color change can have a dramatic effect on the overall appearance and feel of your kitchen. 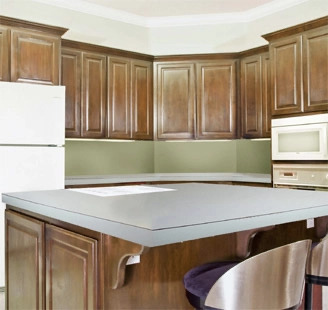 Our cabinet color change services are similar to the process we use for cabinet refinishing. During the consultation phase, we will provide color samples and a detailed project estimate. 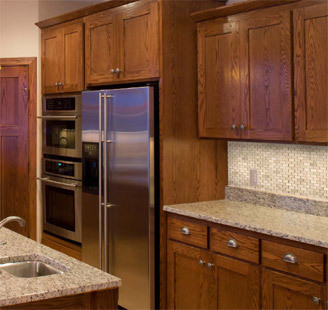 The color change process itself will be performed by a team of trained professionals, who will clean, prep, stain, and finish your cabinets using high-quality products and careful craftsmanship. 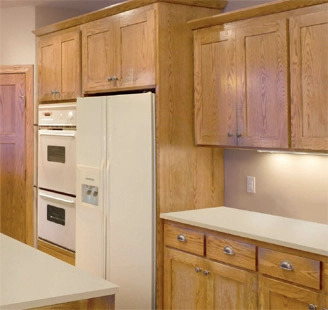 We will then cure your cabinets using Lightspeed®, which instantly cures cabinet finishes via ultraviolet light. The entire process takes only 3-5 days for typical projects, which is significantly faster than traditional restaining methods. In most cases, we will remove cabinet faces so that they can be prepped, stained, and finished in our workshop, making our services minimally disruptive. If you’re looking for a change to a lighter wood tone or a specialty color finish, we can handle that too. Our custom cabinet finishes give you total freedom over the color you choose for your cabinets, with options for practically any color of kitchen cabinet. As with a cabinet color change, a custom color finish will cost a fraction of what you would spend refacing or replacing your cabinets. Get a FREE cabinet color change estimate from N-Hance by calling us today at (855) 642-6230 or by finding your local office.